Two somethings pretty and small. I got this beautiful 8-ounce tumbler in the mail. It made my day. 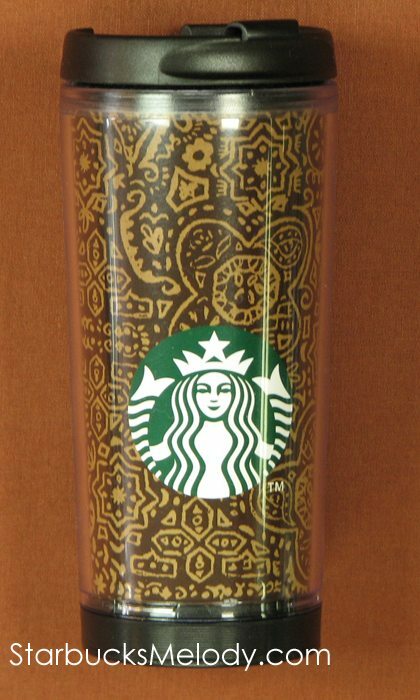 This traditional Indonesian pattern Starbucks tumbler is current merchandise in the Starbucks Indonesia market. I love that it is an 8-ounce size too! I love the smaller tumblers. And this brown pattern design is so pretty. And of course, I love seeing the new logo on it too. So in case others were curious about international merchandise, I’m showing it off here too. The second something “pretty and small” is a pair of earrings. The earrings were a gift from Licia Beads. They are beads that are meant to look like coffee beans. I like these. It would be great to have a necklace that was a simple strand of pretty brown coffee beans beads. 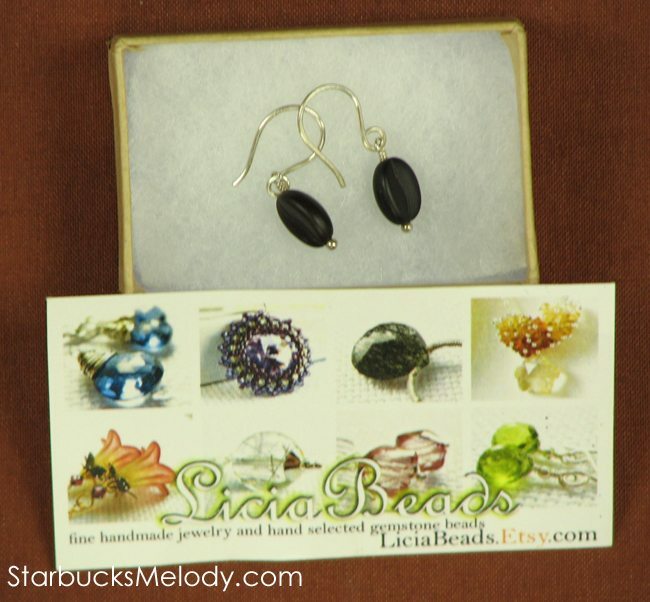 Licia produces handmade jewelry for her Etsy website, and the coffee bean earrings also come in a reddish-toned color too. This blog post is just a big thank you to Romie and Licia for the gifts! Thank you so much! Starbucks Facebook Around the World. The earings are very cool! what a great idea! and I love the smaller tumblers too. They always make me think they’re made for kids…..altho the patterns are not. I like them tho. Those earrings are cute! a subtle way to show your passion 🙂 makes me want tea leaves! and i do love the pattern on the tumbler. @denise r oh i hope everything turns out ok with you having electricity and everyone getting it back soon and no flooding! The Indonesian tumbler design is very unique. And I guess the reason the siren looks huge is because the tumbler is small…love it! Kaori, I should have linked to the two Via earring articles! Those are from 2009 I think. Thank you for reminding me. I am going to go edit this blog post! I love the design and size of the tumbler. However, as someone who spends hours every week on public transportation, I wish they would make a tumbler with a design that would have handles on it. 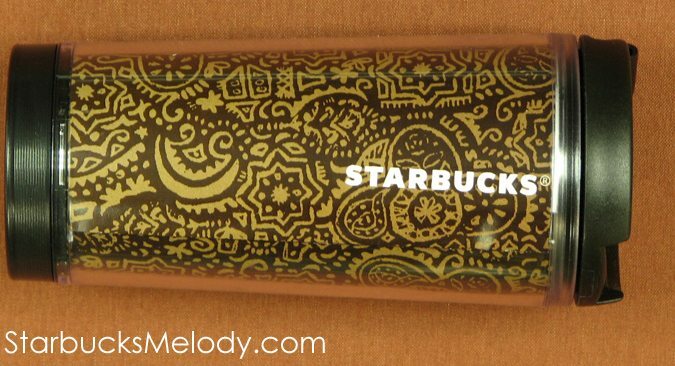 The design of the tumbler is a suitable design for Starbucks. I think it is very beautiful rather than it is pretty. Because Melody you got earrings before from Licia I went to her website and purchased earrings from her and saw those coffee bean earrings. She is a very talented artisan. I too love the tumbler. Wish there was this kind of merchandise here. Thanks for sharing. Small Tumblers are really cool! Love to see the new logo in its full beauty on this new merch…and very lucky for Indonesia that they get their own Tumblers. Hi Melody! 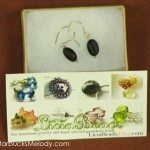 Great earrings – they’d make a nice gift (I’ve bookmarked the etsy page). I too like the smaller tumblers. The only ones I have at home now are some from around Halloween 2004 – black with white and orange dots (the dots have faces in them). Love that they’re only 8 ounces. Perhaps you should have a tumbler post to go (pair) with your mug post. Love the earrings, they’re super cute! My first Christmas with Starbucks I was given a Christmas gift from one of the other managers in the district which was an ornament for my tree that she’d made with coffee beans. It’s very pretty and it smells delicious! LOVE LOVE LOVE LOVE LOVE the earrings! You know, I like the smaller tumblers, too, except that they are invariably made of plastic. The thing I like about the metal ones is how well they hold heat. The small plastic ones are always cute, but they don’t keep my drink hot. I’ve seen coffee bean jewelry somewhere before… I’m going to have to think about it, because I seem to recall a necklace. I’ll let you know if I can remember where I came across it. @kitenarie – I agree – I wish they made the stainless double walled tumblers in 8 ounces (or 12 for that matter). I realize that a lot of the 8 ounce tumblers are purchased for children, but parents are buying their children $16-$25 SIGG bottles, they’d pay for a stainless tumbler too – especially with all of the concerns about plastic (not just BPA). There have been some stainless 12oz tumblers lately. I have one I bought recently. 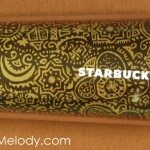 @cd & @Michelle @kitenarie – Totally agree – Would love an 8 ounce stainless steel tumbler. Your coffee would stay hot for so long. PS: To anyone who is interested, comment luv widget is finally working on this blog. I really like both the tumbler and the earrings! I am also a big proponent of the 8 oz stainless tumbler. You can make this happen! Glad I was so good at keeping up on here. lol. They were actually a gift from me-I should have had her put a note with them!